Diwali is the most awaited occasion for many reasons like celebrations in the family, reunion of friends and relatives, eating sweets and much more. Talking about the excitement this festival holds, we are sure that most of you are leaving no stone unturned to make the most of it. As a tradition, several households perform Laxmi Puja as an offering to the deity of good fortune and wealth. People invite Goddess Laxmi into their homes to kickstart the festival of Diwali. While Laxmi Pujs has a traditional importance, it also holds significance in financial terms. The festive season serves as an ideal time for brand to engage with their audience and increase awareness of their products and services. 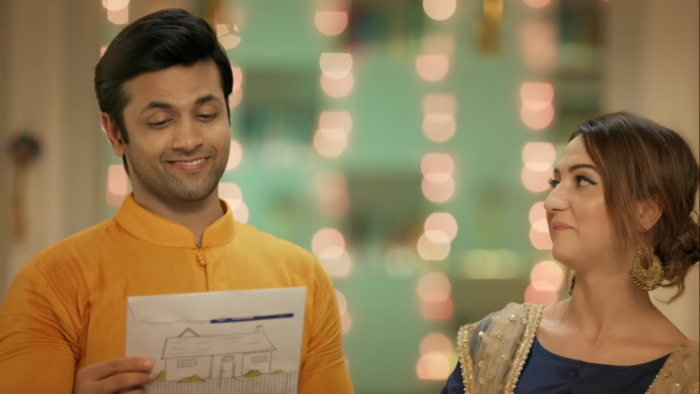 Making the most of the occasion, Edelweiss Tokio Life Insurance has launched an ad film that defines the true meaning of Diwali preparations. Edelweiss Tokio Life Insurance offers need-based solutions to help customers meet their life stage financial goals. The film shows a couple discussing their preparations for inviting Laxmiji. The husband is shown taking care of the traditional aspects like decorating their homewith lights and diyas, wearing new clothes and more. He prompts his wife to change her outfit to receive Laxmiji. What she says next is both heartwarming and rational. 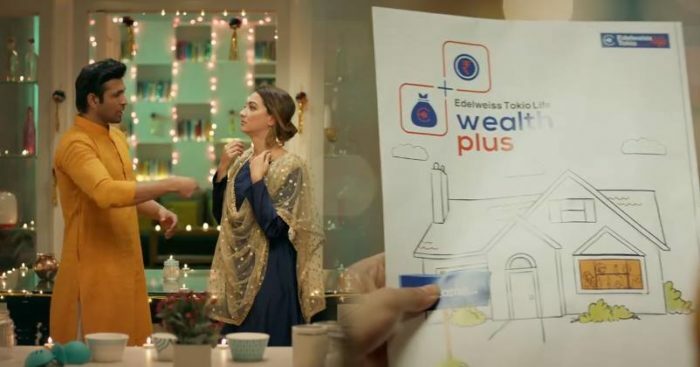 She explains how all these preparations are incomplete if we forget about the financial security of our loved ones; she also shows him Edelweiss Tokio Life’s Wealth Plus plan as it is beneficial in every way. Wealth Plus is a ULIP that meets your financial needs with utmost efficiency and convenience. It provides risk cover for the policyholder along with investment options in any number of qualified investments. The Plan also offers Rising Star Benefit that ensures your child’s financial future is secured even in your absence. Perfect for financial security, isn’t it? Edelweiss Tokio Life has chosen the perfect time for creating awareness about insurance on Diwali as the festival itself is symbolic of removing all darkness in our lives. Darkness comes from uncertainty & it is important to drive it away with prudent financial planning. Such initiatives from brands not only help them to develop a connection with the audience but also give important lessons following which we can live a life full of happiness and prosperity.